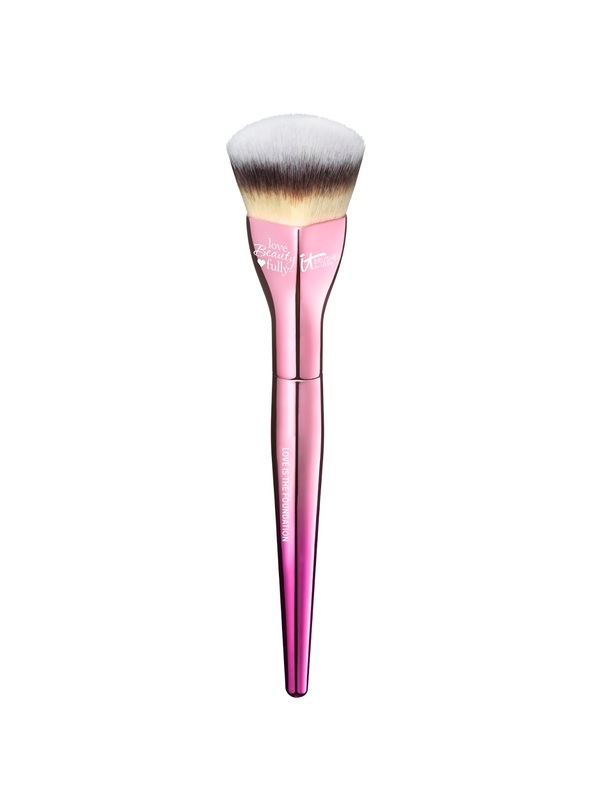 This limited-edition brush is luxuriously crafted - and supports a good cause! For every Love Beauty Fully Love is the Foundation Brush purchased during Breast Cancer Awareness Month, IT Cosmetics will donate one to the American Cancer Society's Look Good Feel Better program to help women face the effects of cancer with confidence. You'll be giving the gift of joy and beauty to another woman, and to yourself, and that's a beautiful thing! 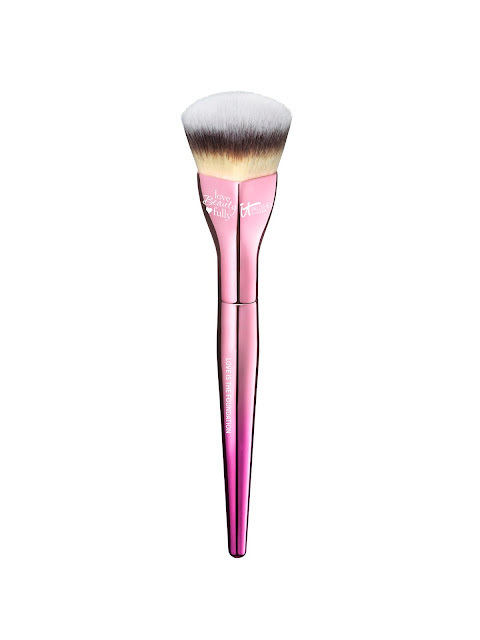 A must-have for every IT Girl's brush collection, this ultra-chic foundation brush features a weighted, streamlined handle and unique heart-shaped head with densely packed, award winning Heavenly Luxe synthetic hair for effortless, streak-free application of your favorite liquid, cream and powder foundations. Custom designed for precision control, it does the work for you and gives you flawless, airbrushed results every time! From our IT Girls to IT Survivors, IT Cosmetics lives by the belief that beauty can change the world! Together, we've donated over $10 million in products to the American Cancer Society's Look Good Feel Better program to help women face the effects of cancer with more confidence. Support this wonderful cause! It's a win win situation because when you purchase one of these gorgeous brushes you are supporting a wonderful cause! looks like it would be a smooth applicator~! !xO!